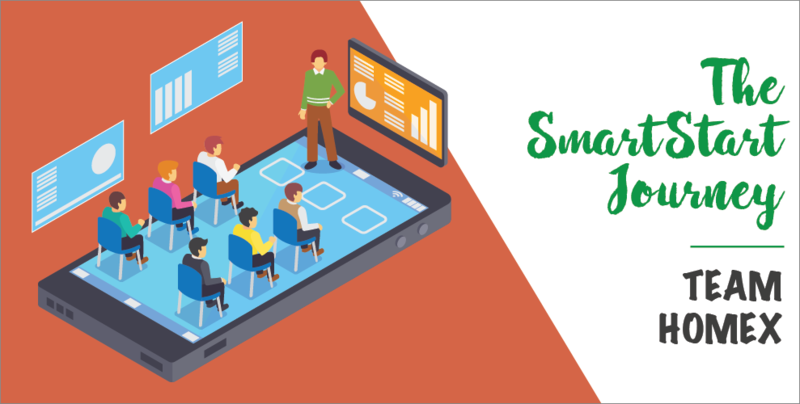 We have finally reached the last installment of “The SmartStart Journey” series! We had the opportunity to chat with the Homex team, the last of the five winning teams, and hear their experiences of their 3-month journey in the SmartStart Young Innovator Programme. Homex is a digital platform that aims to ease the process of finding reliable technicians to fix everyday problems at home, at an affordable price. How do you feel about this win and how has the 3-month SmartStart journey been? 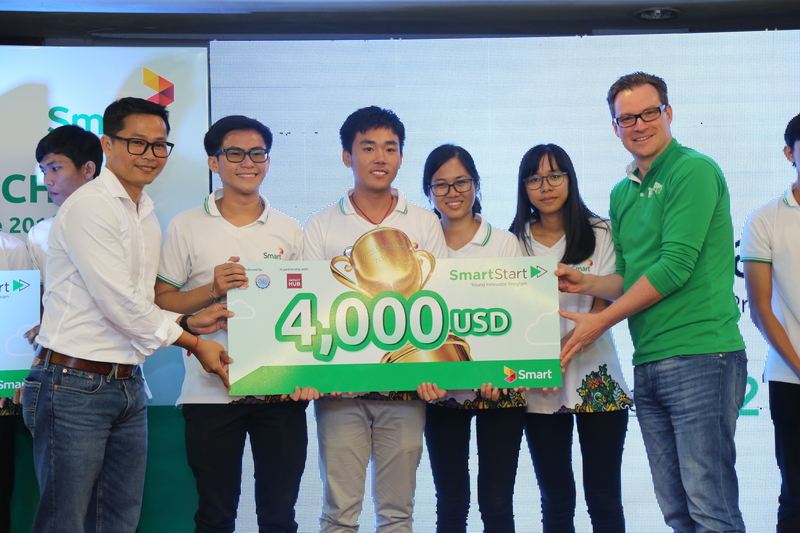 Homex (H): We are excited to be one of the Top 5 winners of SmartStart Cycle 2, and it has been such a wonderful experience to be part of this programme. We have definitely learnt a lot and gained a lot of new knowledge from the Hackathon and Technopreneurship events, such as how to define our business model, and conduct idea and customer validation. Most importantly, it helped to improve our self-development and networking skills. What inspired your team to come up with this business idea? H: This business idea sprouted when we struggled to find a reliable technician when we needed one. However, when we finally found a potential technician, we didn’t feel secure as we had no prior experience with him and were therefore unaware of credibility and skills, let alone his background. So we were inspired to come up with a solution to tackle this problem with a digital platform, “HOMEX”. I understand that all of you are currently studying in university. How do you handle both SmartStart and school concurrently? H: We would say that time management is really the key. Everyone has 24 hours to spend each day; hence, it really depends on how we manage our time, to set our priorities and have a schedule for us to follow. It was not an easy feat for us but our passion and commitment in wanting to make Homex into a reality drove us into setting time aside to work on it during the weekends and online. How has the 3-month programme shape Homex into the mobile application and business idea it is right now? H: The program has taught us to identify everyday problems and turn these problems into business opportunities. It has also led us to refine and improve our initial idea after conducting a detailed study of customers, market and industry. How different is the incubator phase from the first few phases for your team? H: Every phase that we have gone through is a different learning opportunity for us. The Hatching phase has helped us to identify the ideal members for the team, as we chose them based on their skills and interest. The Hackathon stage has taught us to convert a problem into a business idea and clearly identify our customers’ persona and what we offer them. The Technopreneurship stage has allowed us to explore the technology and business sector more and allowed us to pick up various soft skills such as interpersonal communication, pitching, and personal development. As Homex is currently in the incubator phase, do you have any plans to further develop it? If yes, what are some of these plans? H: Of course! We are thinking of adding more household-related services, such as cleaning and maintenance. We also plan to expand our services and offerings to other main provinces in Cambodia as well. What were some challenges you faced as a team and how did you overcome them? H: Aside from internal issues we faced, another challenge we faced was being too young to approach for partnerships: It’s a bit hard for us to find technicians since we are just students. At first, they did not want to entertain us when we introduced ourselves as students working on a startup, and instead told us “get back to your studies”. However, we overcame this problem by presenting ourselves as an agency who can help them source more customers. Last but not least, we lacked mentors to guide us for development. That is why we chose to join SmartStart Cycle 2; to provide us mentorship and guidance. What is the biggest takeaway from SmartStart Cycle 2? H: Some may think that the biggest takeaway from SmartStart Cycle 2 for us is the $4,000 grant as a seed funding to start our business. However, it is more than just that. The most valuable takeaways are the mentorship, and support gained from Smart. Without a doubt, we have seen ourselves grow a lot since the beginning, being more familiar with the startup field and we have also gained a better understanding of the ingredients needed to start a business, especially in the digital scene. Lastly, do you have any words of encouragement for aspiring innovators? H: For us, an achievement is just like an iceberg. There is a lot of effort, sweat and tears that people don’t see. Thus, we encourage young innovators to never give up on what they love and believe in. When you are tired and want to quit, remind yourself that your idea is a great one. You will help your society become better and more digital if you succeed in chasing your dream. We can definitely see the drive and determination that the Homex team possess when it comes to achieving their innovative dreams, which is inspiring to see! From everyone at Geeks in Cambodia, we would like to wish them all the best as they proceed ahead into the Incubation phase, to further develop their services into a mobile application and expand their business to the whole of Cambodia! If you would like to find out more about Homex and keep up with their progress, you can follow their Facebook page here. And you can check out the four other winning teams here: Malis, Somjot, Haystome and Tos Rean.